FLOs were created so the family had a single point of contact. A single person who could build a rapport and a trust with the family, which is not something that can be done with a team of people. 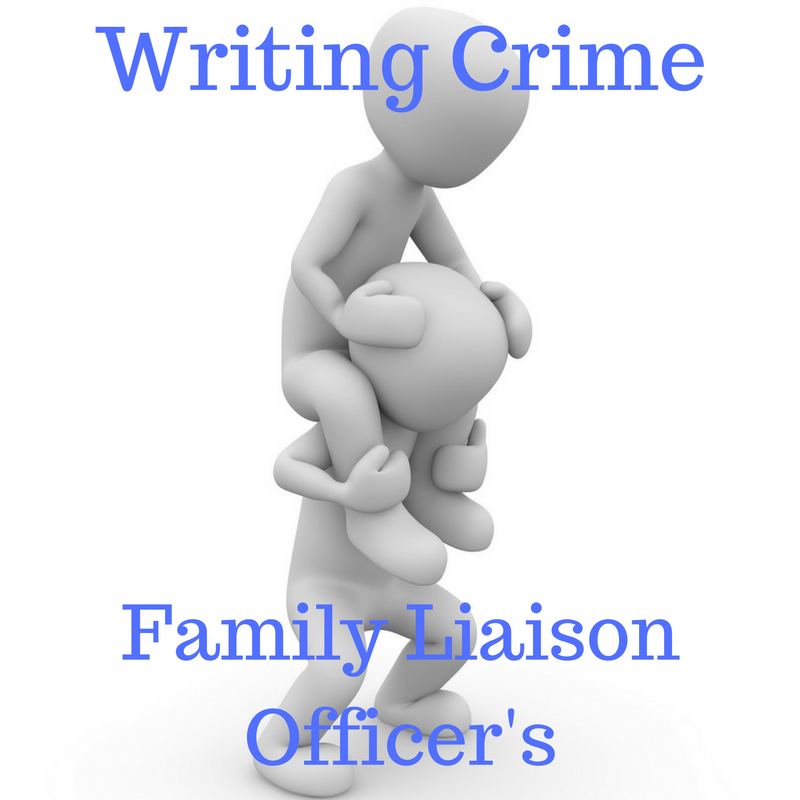 Family Liaison Officer’s are sent out to the homes of the families of any unexplained violent death, including road deaths, and cot deaths (though these we know aren’t violent – but they have to be investigated), and any other critical incident where their presence might be helpful to the investigation. The common misconception about family liaison officer’s is that they are there to provide support to the bereaved family. While this is true, they are also there to gather material/information from the family, for the investigation. And in garnering the family’s trust they do a much better job of providing the information about the victim that the investigation team needs. They need to gather as much information about the victim as possible and feed it back to the SIO. They will have a notebook which they will make notes in while at the home of the family. They will explain what they are doing. None of this is done on the sly. A family liaison officer needs to be sensitive, compassionate and respectful to be able to fulfil their role. It’s not easy being in the home of a family when they are grieving. Seeing them when they are at their rawest is one of the most difficult things you can do. I found this more difficult than seeing any death. Emotions are messy, raw and unwieldy and family liaison officers deserve all the respect. No, they don’t stay overnight with the family. They work long hours, staying as long as the job necessitates. And initially when the job starts, the hours are very long and days off are few. But as the case progresses then the hours drop off and regular days off come back into play. Usually, the family will have the work mobile phone number of the FLO and may get in touch when the FLO is not with them. Depending on where they are in the case and because of the need for information, the FLO may or may not have their phone on or off. You can decide what suits you if you are writing this. This is not a full-time job. The FLO will have a full-time role in a department somewhere and will be on a list. They will be called, on an as and when needed basis and taken out of their normal day-to-day role. Is this what you expected? You can read the other posts in the Policing series, Here. Really interesting, Rebecca! I can imagine it’d be very difficult to be a FLO, just because of all of the emotion involved. I’d guess one would have to learn to keep focus and to be supportive without getting mired in all of the loss and grief that a family experiences. I can see, too, how a character who’s a FLO could be really interesting, too, for a writer. Thanks for sharing all of this – it’s really useful! I found dealing with the grief of a loved one so much more difficult than dealing with the body. Trying to hold that outer calm facade is incredibly difficult, so to maintain it in the face of continued grief must be so exhausting. Tammy Cohen uses a FLO in First One Missing, to good effect. It takes a special person to do that job. I imagine it’s emotionally draining. Yes, I completely agree. I considered the role but as a fairly new mum at the time the hours would have been too long. I think that is a good way of dealing with this. I think I’ve seen it even in crime fiction such as Broadchurch. I do think the TV shows are getting better at depicting how policing is done. The good shows tend to employ police officers or retired officers to help them get it right. Reblogged this on AmREADING AmWRITING.